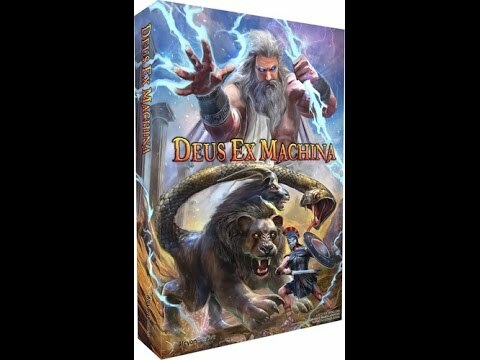 Deus ex Machina is a competitive game for 2 to 4 players with an innovative hero placement mechanism in which each player takes the role of an Olympian god trying to achieve supremacy over the other gods via manipulation of heroes and behind the scenes planning. Their ultimate goal is to accumulate the most Glory Points by having heroes complete quests. The winner of the game is the player who has completed his secret objective.